The results of exploring the Giyan hill in Nahavand shows that people in the province had gone culture and civilization in six thousand years BC. This ancient city is located at the Midwest part of Iran .Because of the wealth of natural blessings resulting from economic activities and agriculture of relatives living in the West of Iran such as the nations settled around Alvand mountain range, the province was invaded and looted by Assyria government in the second half of the second millennium until late in the first half of the first millennium BC For nearly a thousand years in this region. 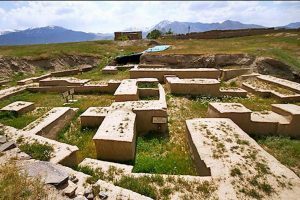 Hamedan city during the 150-year rule of the Medes had the blessings and prosperity and after their extinction, although the central government has lost its power but was regarded as one of the three capitals of the Achaemenid dynasty. Avicenna Mausoleum: He is probably the most significant philosopher in the Islamic tradition and arguably the most influential philosopher of the pre-modern era. The Avicenna mausoleum in Hamedan, Iran, was built in 1952, on the site of the tomb of Avicenna. There had been an older building marking his tomb, destroyed in 1950 to make way for the project. 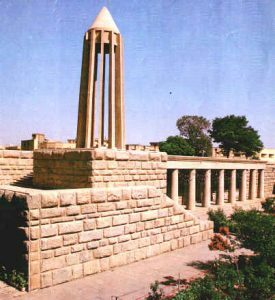 The building includes both Pre-Islamic and Islamic designs and styles. 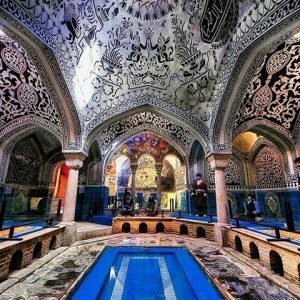 Haj aqa torab bathroom: this bathroom has established in Qajar era and is located in the Nahavand’s old city. Ali- sadr cave: Ali- sadr cave is the only wetland cave. 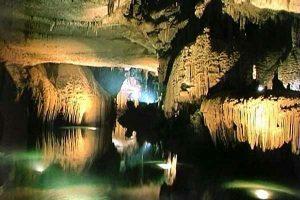 Ali Sadr is the world’s largest water cave. Cave area has winding corridors and multiple corridors. There is a large lake inside the cave; hence the influence of the cave is possible only by boat. Geologists attribute dating back of rocks in the cave to the Jurassic period of the Mesozoic era geology (190-136 million years ago). Tomb of Baba taher: Baba taher’s tomb on top of a hill in the northwest of Hamedan. The tomb is located in a beautiful green rectangular fields of turquoise color dome is octagonal in shape Charter and rule. Tomb Roof Tile is also beautifully finished. Baba Taher Hamadani, popularly known as Baba Taher naked, Poet in the late fourth century and early fifth century AD that is contemporary with the period of Seljuk rules. The building of this tomb may be knew part of an excellent and innovative examples of contemporary architecture . Stone Lion :Hamadan Stone Lion probably belong to the Parthian era. A hill that is now stone lion statue is located on the ancient hill because the coffin belonging to the Parthian era was discovered at the site. Ecbatana :Ecbatana was royal capital of Median and summer capital for Achaemenid and Parthian. This ancient city was the first capital of Iran, and with Athens in Greece and Rome in Italy, one of the few ancient cities in the world that is still alive and important. Herodotus known this city made by Deioces and said that had the seven-colored walls which each have one planet’s color. 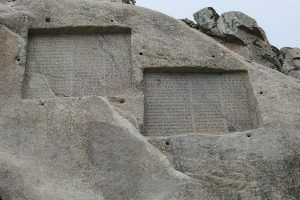 Ganjnameh :Ganjnameh is articles Darius and Xerxes from the era that was engraved on the heart of one of the cliffs of Mount Alvand. Alavian dome: Gonbad-e Alavian is a four-sided interesting 12th century mausoleum belonging to the late Seljuk period. It is notable for the outstanding quality of its stucco ornamentation, with whirling floral motifs on the exterior walls and intricate geometric designs on its mihrab. With its unique stucco reliefs and delicate brickwork, this cube-shaped structure is an outstanding example of Persian-Islamic architecture.